Diversity & Inclusion > Are you up for it? 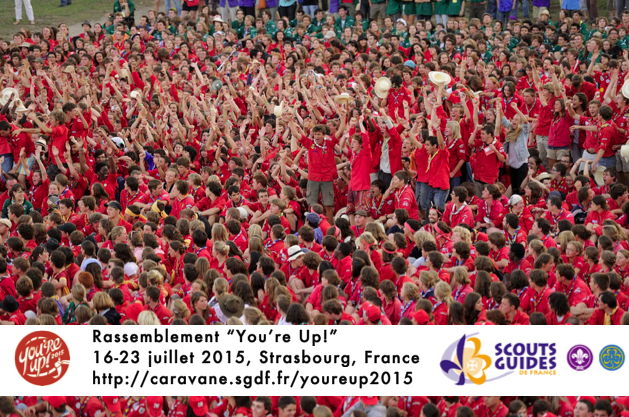 Join 15000 Venture Scouts in Strasbourg (FR) next July! 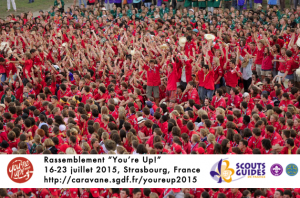 (SGdF/Paris) – The third week of July next year will turn the French city of Strasbourg into a sea of red, when some 15000 Pionniers & Caravelles (young people aged 14 to 17 years) will come together for the National Jamboree “You’re Up!”. Are you up for it, too? Are you up for it? 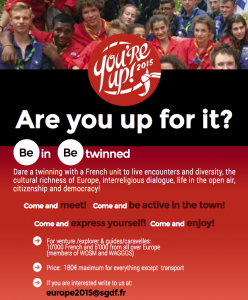 Strasbourg is waiting for you next summer! Memorable experiences at “You’re up!” are just two clicks away! Four main goals have been set for the 15000 participants expected from all over France and from other Scout and Guide Associations around Europe: promotion of wise use of natural resources, experiencing the rich diversity within the societies in Europe through meeting and sharing, experimenting leadership by building trust in youth and empowering them to take responsibilities, and by reinforcing European citizenship by living together (in twinned units) and by empowering to get involved in political issues. If your Venture Unit has not yet planned its activities for next summer, “You’re Up!” is certainly an opportunity worth to consider! Thanks to co-funding by the European Union, the participation fee is very advantageous. So, what are you waiting for? An incredible experience is only two clicks away! – check the concise information folder in six languages: EN, FR, DE, IT, ES and NL. 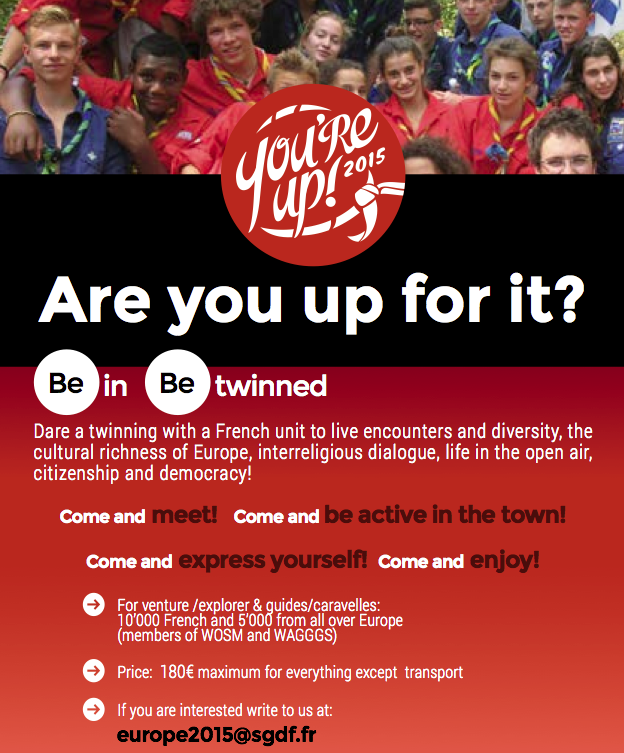 Tagged with: France • National Jamboree • Scout camp 2015 • SGDF • Strasbourg • Venture Scouts • you're up!